The built environment is responsible for more than 35% of the planet’s carbon footprint, so it is crucial we start designing low carbon, sustainable buildings today. B. ensure that the energy we use comes from renewable sources. The energy needed for heating and cooling can be dramitically reduced by designing your house in the right way. Most people know about how insulation helps to keep the inside temperature lower in summer and higher winter. Passive solar designs allow a house to make the most use of the sun’s rays to heat up your house in winter. By using shading, proper ventilation and the right amount of thermal mass, your house can also be comfortable in summer without an airconditioner. There are other ways of measuring building projects on their green/sustainable merrits, for example the Green Star rating system. Apart from energy consumption, this rating system takes other aspects of living into account, like distance from public transport, number of car bays, etc. Although, our development is eligible for the multi-dwelling development Green Star rating, the assessment costs thousands of dollars and as such out of our reach. This is a real shame as we would have liked to know how we score under this system. Energy source. We will use electricity instead: induction for cooking, electric boosted solar hot water system and because of the solar passive design we expect not to need any space heating. Natural gas is often used for cooking, hot water and heating. We have decided not to connect any of the dwelllings to natural gas because natural gas is not a renewable energy source. Energy production. The houses have been designed with north facing roofs for photo voltaic (solar) panels. We are thinking of a 3-5kW system on each of the town houses and a 1-1.5kW system for each of the apartments. This should be more than enough to cover the energy needs of all four dwellings on the block. All dwellings will also have a solar hot water system. For us it is obvious that the first question is: “What appliances do we need?” One of the debates at the moment is whether to install a dishwasher yes or no. Well, after hosting a dinner party resulting in a big pile of dirty dishes stacked up on the kitchen bench and an hour of washing and drying them, the thought of having a dishwasher in our new home is attractive and very likely! 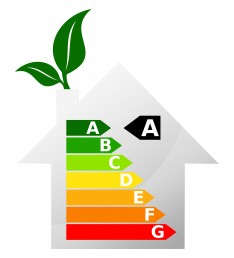 Once we’ve decided that we would like to purchase a particular appliance, we use the energy and water consumption star rating to guide our decision making. Quality and price are other important selection criteria. We don’t have to make a decision just yet, but we expect that with a multitude of brands and models on the market the choice will not be easy. We will let you know what we’ve decided on.